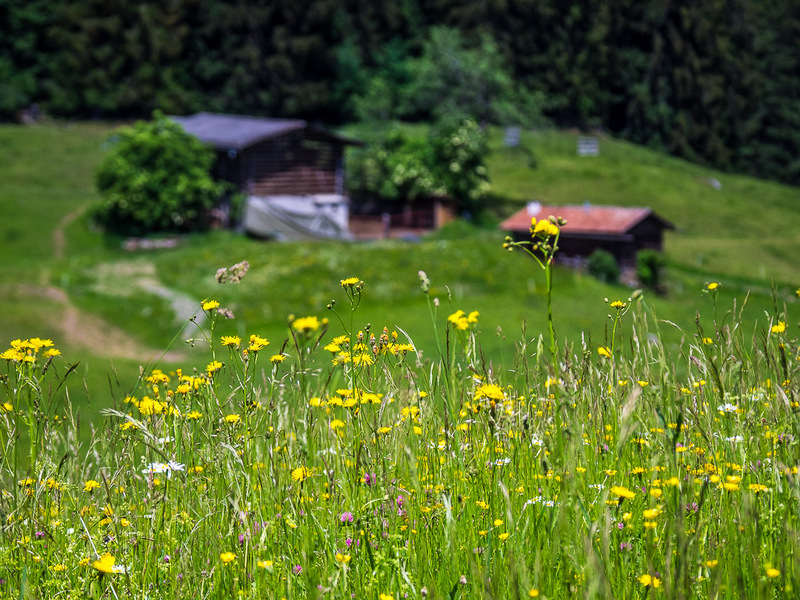 We did a nice hike around the mountain village of Flims, about a 90 minute drive from Zurich. 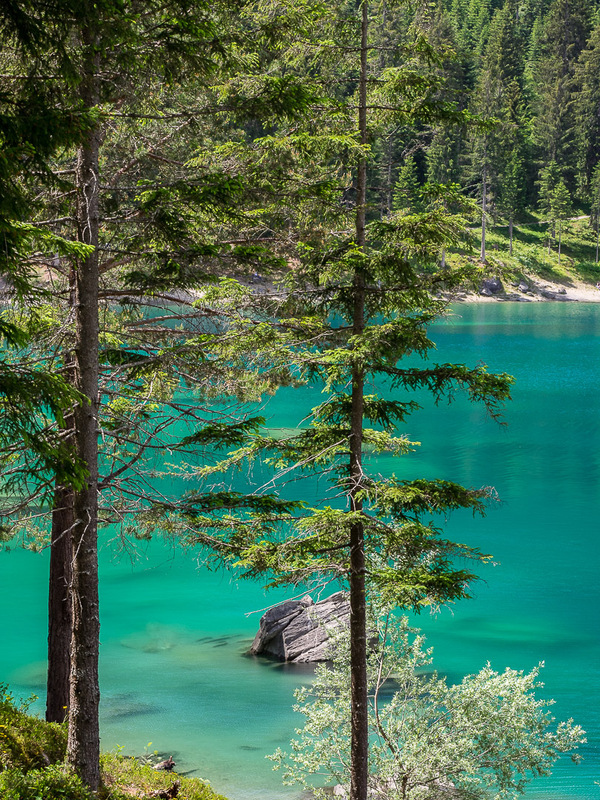 First stop was Lake Cauma, located south of Flims in the Swiss canton of Graubünden. 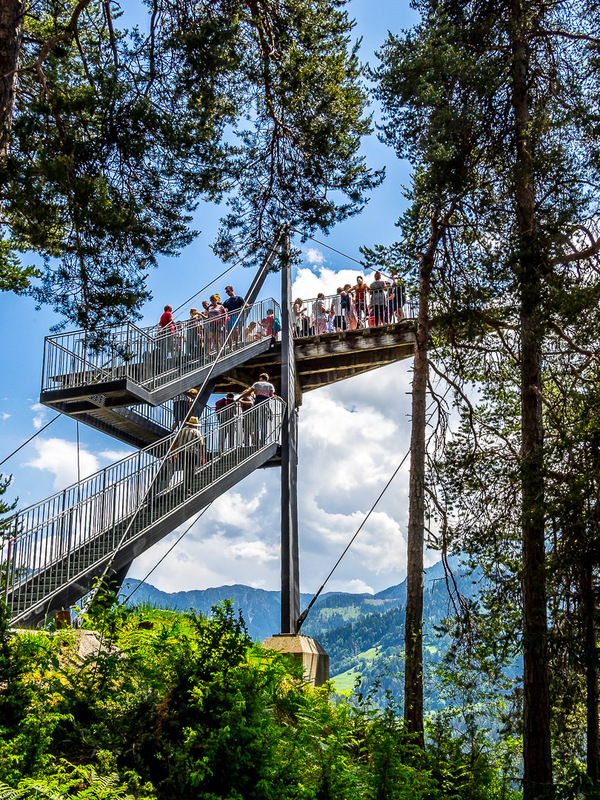 It lies at an altitude of approximately 997 m, has seasonally fluctuating water levels and can be easily accessed by a specially built funicular railway, if you want to avoid a small downhill hike. 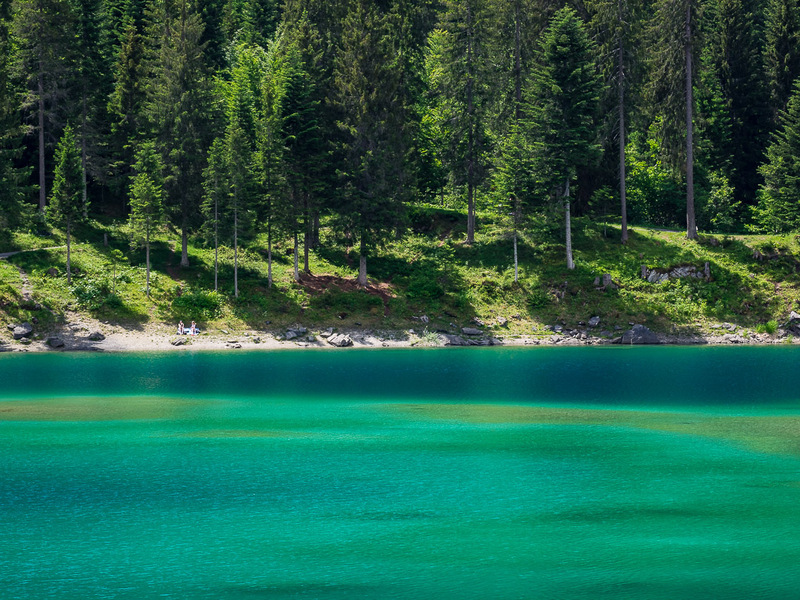 The color of the water is absolutely breathtaking, and reminds more of lush Caribbean waters than a cold alpine lake. Still, the boys all hopped into the water for a refreshing swim, while I did some creative shooting. 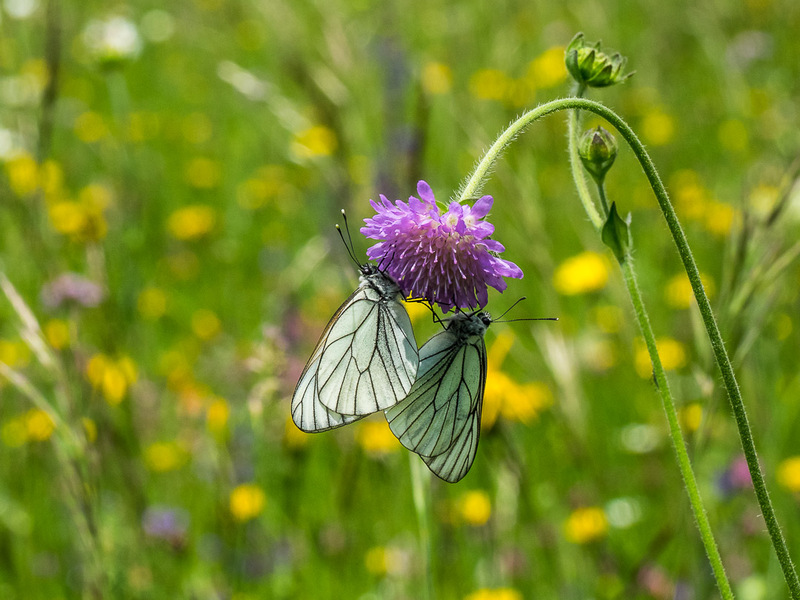 The hike continued along beautiful mountain meadows with an abundance of flowers and orchids, and the playful nourishing of the dancing butterflies was a fun thing to watch. Then we reached “Il Spir”, a viewing platform near Conn, south of Flims. The platform was designed by the Chur architect Corinna Menn and was inaugurated in September 2006. It provides for spectacular views of the Rhine river below. The gorge of the Vorderrhein between Ilanz and the mouth of the Hinterrhein near Reichenau, which is up to 400 metres deep, is also known as the “Little Swiss Grand Canyon” and leads through the debris masses of the Flims landslide, that happened about 10.000 years ago. Weather was awesome this past weekend, and after the tour on Saturday we chilled all of Sunday before returning by car to Nuremberg on Sunday evening. I’m actually looking forward to a three week stint at home (including another short weekend trip to Austria on the coming weekend), before returning to the Pacific Northwest. All photos (except the last panorama) were taken with the Olympus OM-D E-M1 with the mZuiko 12-100 mm F/4. Meeting International invites you to International conference on Earth Science and Climate Change. This will be held on September 6-7, 2018, at Zurich, Switzerland. What stunning scenery and beautiful photos. My cousin lives in Zurich and we’d love to go, but can’t yet. Beautiful photos and that lake colour is amazing. Stunning shots, Marcus! From the butterflies to the flowers and those gorgeous shades of turquoise, I loved the diversity of your photos. All that was missing was an Alphorn and the illusion of being there with you would be complete! The colour of the water is incredible! Great photos! 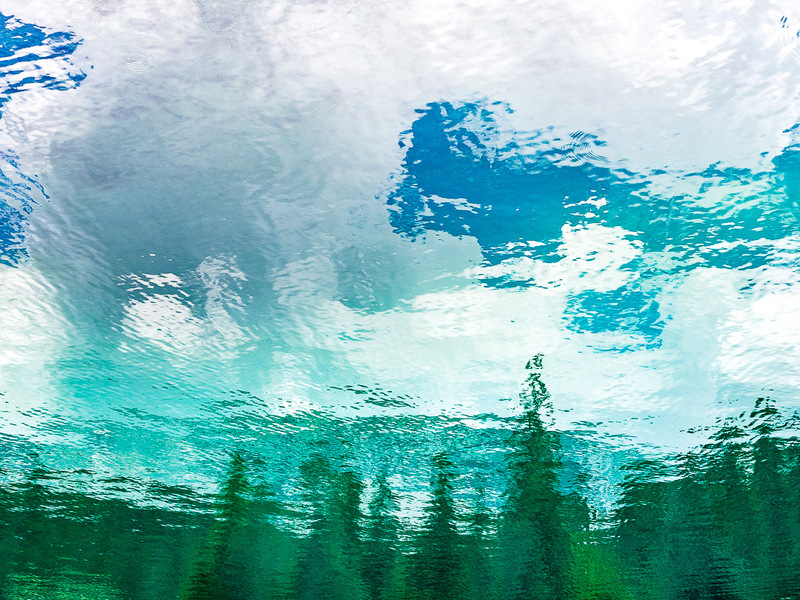 That Alpine Reflections photo is stunning! Stunning photos as always Marcus. I particularly liked the butterfly on the flower. Whenever I try a shot like this, the butterfly disappears as I take the photo! Awesome post. Keep up the great work! I love the reflection photography. Great shot. Thanks, my friend, so much appreciated! On a separate note I’ve gone fully Olympus. Have traded in my d7100 and brought the 60mm 2.8 and the 75-300. I’m so glad I took your advice in December. Thankyou.